The craft that we will learn to do today is very decorative and at the same time will help maintain order in every corner where you decide to place it. 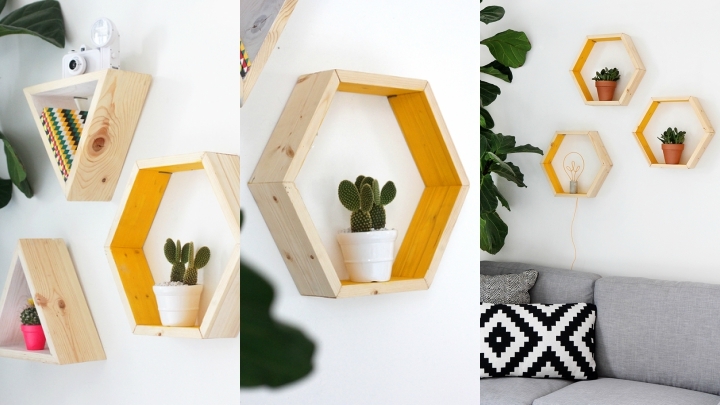 This is a DIY to create a geometric shelf, in this case have a hexagon and triangle, you can only do one of these forms, or combine both, or make them square … As you like! 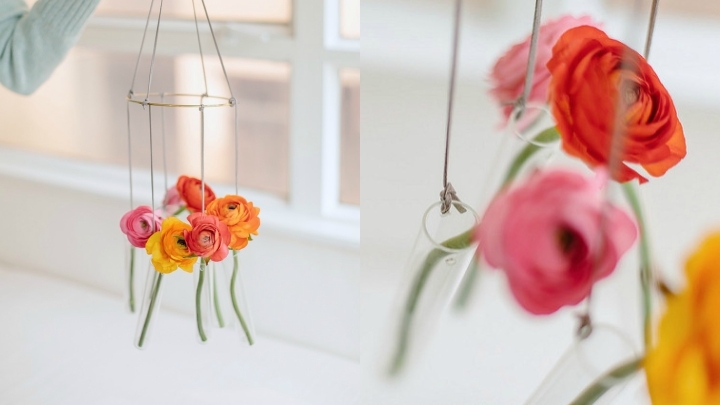 Here we leave you with guidelines that give us blog and then customize sure you get to create your own decor. We started! Slats of wood. The amount will depend on how you are going to give your creation and how many shelves are going to do. The size also can be changing. Acrylic paint color you like. In the first place you have to cut the ends of the strips so that one is believed angle that allows fit well with each other. Place them forming the shape you want to do, either a hexagon, a triangle, a square … and glue the edges to secure it. For the remaining part against the wall put staples to ensure good slats. Once you have made your figure, sand the wood if you feel you need to have a smoother look (if you bought treated will not be necessary) and varnishing the outside. Then paint the color inside you prefer to match the rest of the decor of the room where you are placing. You can paint all the slats of the same tone or all different if, for example, you want to give a touch of joy to a child’s room. 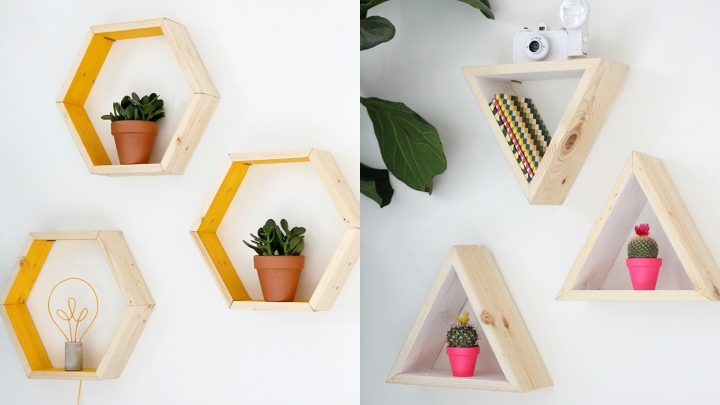 As you commented, you can create wooden shelves with a hexagon and triangle, are very good and even you can combine together, put inverted triangles … In them you can put figures, toys, plants, books, stories, magazines … they are ideal for a child ‘s room but also for the living room or a reading corner to keep handy texts that you want to read. 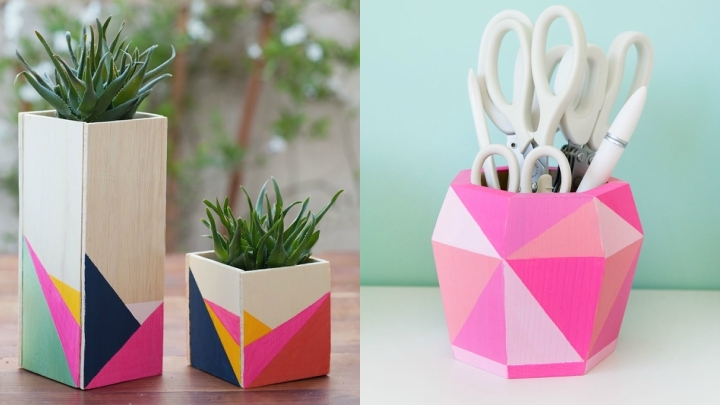 The truth is that the geometric DIY give much play. On a previous occasion, we saw how to make a lamp with these features and, if you like this style to your décor and these shelves you can design more decorative items for your home. 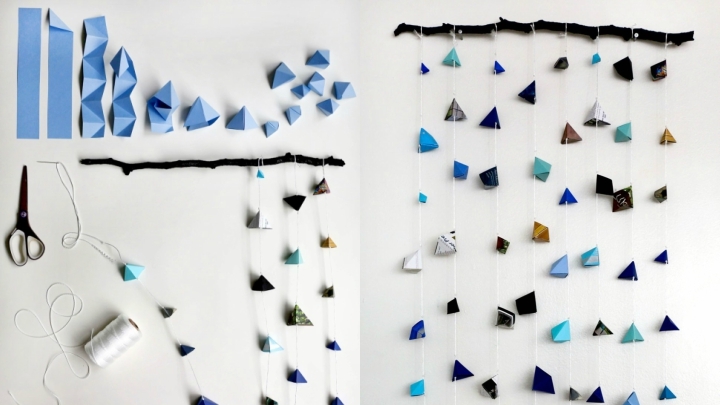 To complete these craft ideas teach you two very nice I’ve seen on the blog Tell Love and Party and consist of designing a Chulis geometric goblets and small pots to place a cactus or succulents, for example. To make goblets need a wooden containers already come with geometric edges, or if you dare you can create the cutting yourself to your liking. Then paint each side of differentiates colors, placing masking tape for the next face of the cup is not stained. You have many options to play with colors. For pots, get yourself some thin wooden boards and glue the four sides to create a cube, higher or lower elongated and narrow, depending on how you have the container you want to put inside. And the same, painted with geometric design using masking tape to mark the lines to follow and give imagination in the design and the colors used. Look at the result. What both options are very cool?